In June 2012 a global gathering of 15 Video for Change organisations was held in Yogyakarta Indonesia. The event sparked a number of collaborations and reinforced the importance of video in campaigning, advocacy and social change. The result of that meeting was a new video4change network. Our home is this site. In the coming months this site will transform (and keep transforming) to reflect the plans that were made during the gathering and the activities of the participating organisations. Stay tuned. Video for Change is what we are calling the use of video to affect social change. 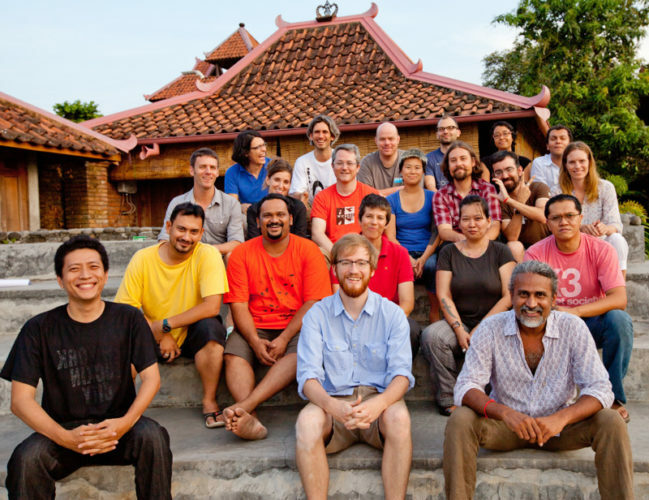 From 5 – 9 June 2012 in Yogyakarta, Indonesia, EngageMedia and WITNESS co-hosted a global gathering of organisations that use video for activism. It was attended by 13 organisations. This website will reflect the plans that were made during the gathering and the activities of the participating organisations.